Homeless people are using hospitals on a nightly basis as shelters to escape the cold. Dubliner David O'Brien (30) told the Irish Independent that many people like him have regularly walked into hospitals at night to avoid sleeping rough. Speaking outside the Mater Hospital yesterday as a genuine patient, Mr O'Brien said that homeless people often had no other choice. "If you're out on the streets at 3am, you will do whatever it takes to get shelter," he said. The Summerhill native added that his health had declined as a result of being homeless. Safetynet Primary Care is a charity that works to improve healthcare access for the homeless, and other vulnerable people. "Those spending large periods of time on the street will often have respiratory problems, along with issues involving their skin and feet from walking around all day," said general manager Fiona O'Reilly. "We're providing a wide range of primary services which prevent homeless people from ending up in A&E." 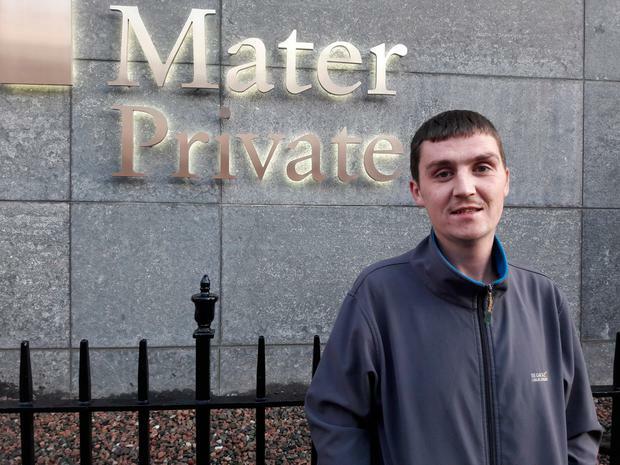 Ireland East Group said The Mater Hospital "unfortunately" experiences homeless people sleeping in and around the hospital year-round, and in particular during the winter months.